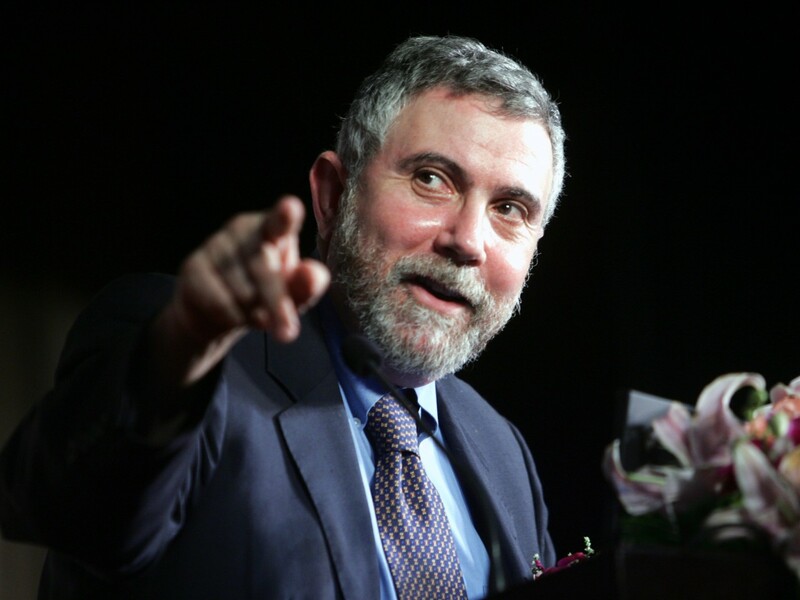 Paul Krugman: Are We Living In A Permanent Depression? You might imagine that speculations along these lines are the province of a radical fringe. And they are indeed radical; but fringe, not so much. A number of economists have been flirting with such thoughts for a while. And now they’ve moved into the mainstream. In fact, the case for “secular stagnation” — a persistent state in which a depressed economy is the norm, with episodes of full employment few and far between — was made forcefully recently at the most ultrarespectable of venues, the I.M.F.’s big annual research conference. And the person making that case was none other than Larry Summers. Yes, that Larry Summers. This entry was posted in deficit, economists, economy, money, nouriel roubini, paul krugman and tagged cash, china, economics, economists, economy, entertainment, finance, money, nouriel roubini, obama, obamacare, paul krugman, politics, stock markets, stocks, u.s. deficit, wall street, world bank. Bookmark the permalink.